Bergh Orthodontics of Burbank and Glendale, CA, is thrilled to announce its inclusion in Excellence in Orthodontics, a highly selective national program that seeks to promote patient education and top-quality orthodontic care. Excellence in Orthodontics only allows one orthodontic office per geographic region to join their organization. To be invited to join this prestigious group, orthodontists must have considerable expertise and experience in their field, and they must also demonstrate a passion for pursuing the highest quality patient care available today. Excellence in Orthodontics has recognized Bergh Orthodontics as being at the forefront of quality orthodontic care in Burbank and Glendale. The founders of Excellence in Orthodontics realized that most parents and patients had little to no idea how to begin their search for a quality orthodontist. They knew even less about the wide variety of orthodontic treatments available today or the benefits that some treatments have over others. This was a problem that needed to be addressed. 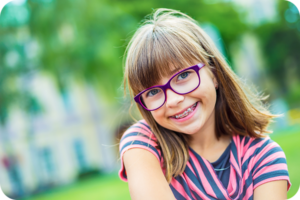 Provide parents & patients with reliable education on the types of orthodontic treatments available today, including metal braces, clear braces, lingual braces, Invisalign, and early orthodontic treatment. Guide parents & patients in their search for the right orthodontist by giving a list of key characteristics or features to watch for while considering a new orthodontic office. Simplify each parent’s or patient’s search for the best orthodontic office in their area by offering free access to the Excellence in Orthodontics membership database. This database lists the orthodontists who have been carefully screened and selected as a top care provider in each geographic region. Bergh Orthodontics is proud to be included in the Excellence in Orthodontics database as the orthodontic office of choice in the Burbank and Glendale, CA, area. To learn more about Excellence in Orthodontics and to browse their educational materials and database, you can visit their website at www.excellenceinorthodontics.org. If you are looking for an orthodontist in your area, come see for yourself why Bergh Orthodontics in Burbank and Glendale, CA, has been chosen by Excellence in Orthodontics for our quality patient care and state-of-the-art diagnostic and treatment options. Call 818.273.6225 or click here to schedule a free, no-obligation exam and initial consultation today. We look forward to offering you the best orthodontic care available today!